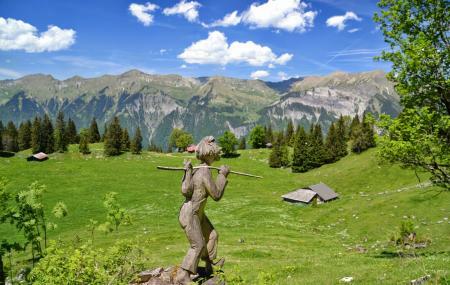 Axalp walk is a one hour stroll from Axalp to the mountain lake and is a great way to explore the whole city. As the city is very convenient to be explored on foot this becomes a very good way to spend the day with family and friends. With lush green sights and clear air the area is sure to give you and your family a fun and exciting time together. The walk has become a major attraction in the areas and sees a lot of tourists due to its beauty and simplicity. Carry a light raincoat in case of sudden sowers. Going on foot is the best way to explore the site. How popular is Axalp Walk? People normally club together Lake Brienz and Ballenberg Open-Air Museum while planning their visit to Axalp Walk.